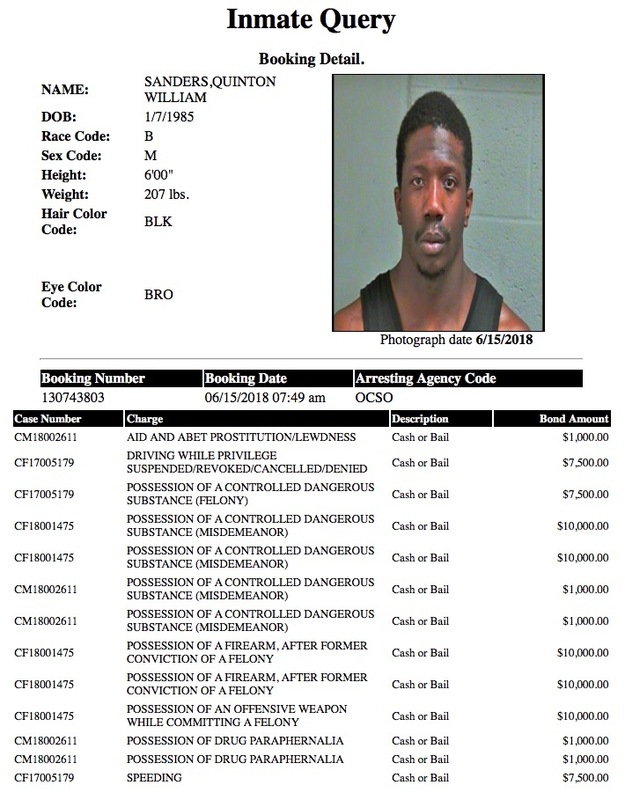 The following is a list of individuals who were arrested on prostitution and/or public lewdness related charges (or who have a history of prostitution/lewdness charges) during the week of 7/16/2018 – 7/22/2018 according to public records maintained by the Oklahoma County Jail and the Oklahoma City Police Department. Suqin Chen: DOB 9/29/1970, Asian female, reportedly resides in OKC, OK.
Criminal Complaint: Offering to engage in lewdness and no massage license. Dawette Michelle Barton: DOB 3/18/1977, White female, reportedly resides in OKC, OK.
Criminal Complaint: (new charge) Offering to engage in prostitution and possession of drug paraphernalia. 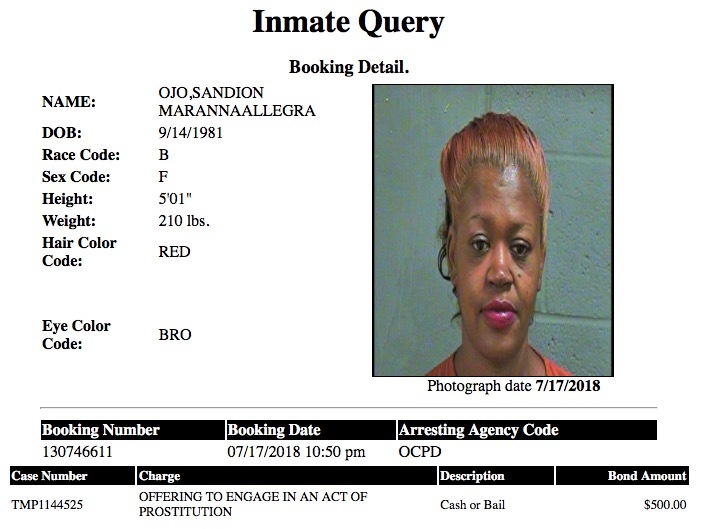 Wylena Carol Wilson: DOB 3/17/1979, Black female, reportedly resides in OKC, OK.
Criminal Complaint: (new charge) Offering to engage in an act of prostitution. Sandion Maryanna Allie Ojo: DOB 9/14/1981, Black female, reportedly resides in OKC, OK.
Quinton Sanders: DOB 1/7/1985, Black male, reportedly resides in the 700 block of Musgrave Blvd., OKC, OK.
Criminal Complaint: (Surrender on bond) 2018 case for possession of drug paraphernalia, possession of CDS and aiding and abetting prostitution.